Now enable your marketers to deliver relevant and personalized customer journeys including exceptional experiences across email, mobile, social, advertising, the web, and more. 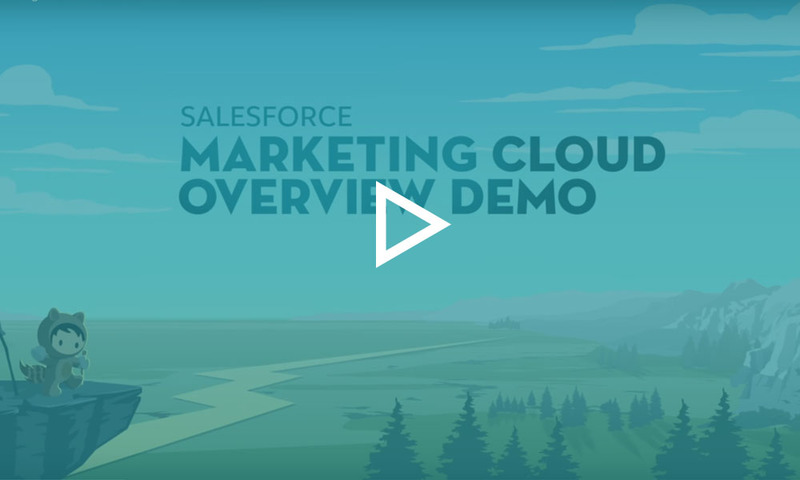 Salesforce Marketing Cloud offers a robust set of marketing tools built on a unified platform to know customers better, engage them, and personalize their experiences. To help marketers develop 1-to-1 customer journeys across various channels. Now create personalized email campaigns to increase customer engagement. To help marketers capture data from multiple sources on a unified platform. Empower your marketing team with data from the world's largest premium data ecosystem. To map, execute and track social media campaigns and engage customers. To help marketers target 1-to-1 advertising using CRM data to acquire and re-engage consumers. Customize mobile communications including SMS, push notifications, and group messaging. Track and manage real-time consumer experiences driving valuable engagement at the right time. Customer-centric approach: Marketing Cloud allows you to build a unified and comprehensive view of every customer and start 1-to-1 journeys. Integrate every customer interaction:Integrate every customer touchpoints and their experiences spanning across various verticals such as advertising, marketing, commerce, sales, service, and app. B2B & B2C engagement: Manage and engage both B2B & B2C customers from one platform. Market intelligently with AI: Identify new segments and likeliest consumers to engage with the help of AI – all automatically. Transform mobile messaging: Transform the way you reach customers through messaging. Now use SMS, MMS, push notifications, and group messaging to reach your customers anytime by including mobile to your marketing campaign lists. Operate with ease: Use pre-built templates, easy messaging flows, and mobile apps to quickly create and run cross-platform campaigns. CEPTES offers a complete suite of Salesforce Marketing Cloud solutions including Marketing Cloud implementation, customization, consulting, integration, migration, and support & enhancement. Our Salesforce certified Marketing Cloud consultants are experts in integrating Marketing Cloud tools, using real-time intelligence features, help you run personalized digital campaigns to enable you to witness a new world of marketing ease. CEPTES is an expert in implementing Salesforce Marketing Cloud for businesses of every size and nature. Whether you need to implement Marketing Cloud from scratch or looking to customize your current solution, our Marketing Cloud experts can assist you with that. 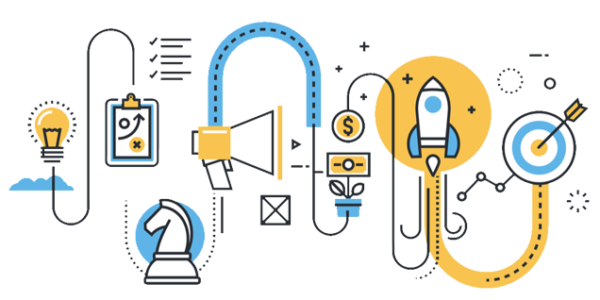 Our Marketing Cloud consultation services will help you choose the right Marketing Cloud tools based on business requirements and identify necessary customizations and integrations. We can help you plan your implementation process considering various company IT strategy and potential challenges. As a Salesforce integration specialist, we can integrate your Marketing Cloud with ERP, CTI, email, social media, other AppExchange solutions, e-commerce platforms, and any third-party solutions in order to achieve highest results. We can even integrate Marketing Cloud with other Salesforce Clouds (Sales and Service) to make the data flow in your Salesforce CRM automatic and seamless. We can help you migrate from your current marketing automation tool to Salesforce Marketing Cloud. Even if you want to migrate from Marketing Cloud in Salesforce Classic to Lightning, our team of Lightning experts can help you in a smooth migration ensuring secure data transfer without hindering business processes. We offer end-to-end Marketing Cloud support and end-user training so that you can maximize Marketing Cloud benefits ensuring system stability and user productivity. We closely work with you to outline your needs, scale, and marketing objectives to map personalized customer journeys.